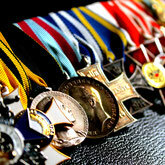 Our custom made medal bars are handcrafted following your specifications. 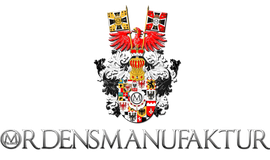 We are proud of long experiences in the production of the different medal bar styles and warrant a maximum of quality of those which are not in second to one of old manufacturers like Godet or Sy & Wagner. 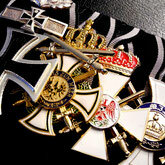 We process not just replicas but also original orders and ribbons just as you wish. 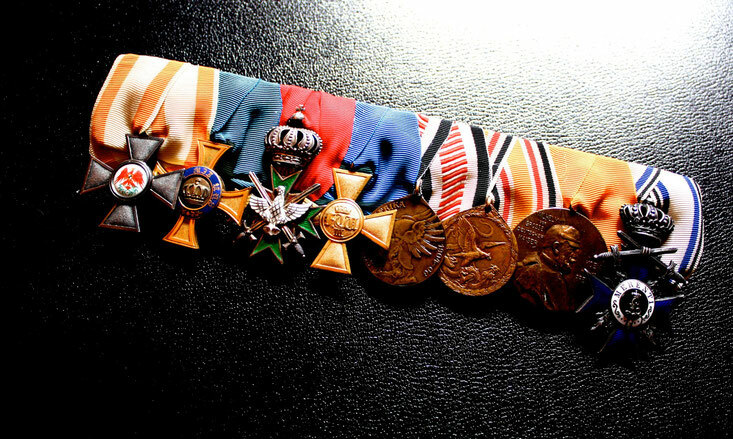 Due to this every medal bar becomes unique. 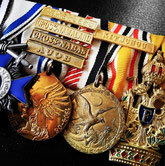 We are offering old-Prussian, Prussian-German, Bavarian, Austrian medal bars and the matching frock coat bars. 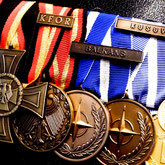 There are barely limits on the realization of your personal custom made medal bar. We will glady process your orders and replicas.